The poems in Joanna Klink’s new collection Circadian take as their guiding vision circadian clocks. Moved by the presence and withdrawal of light, these internal clocks influence rhythms of sleeping and waking: the opening and closing of flowers, the speed at which the heart pumps blood, the migratory cycles of birds. 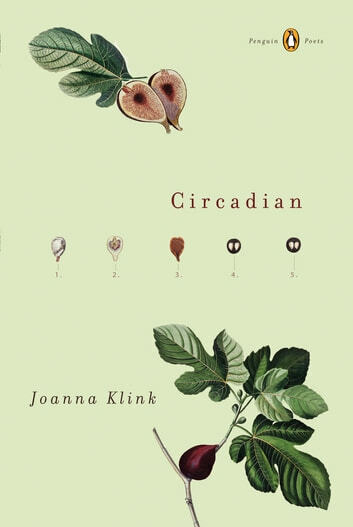 With love poems and prayers, Joanna Klink offers us patterns of glowing alertness and shared life, patterns that speak to the flickering circuit between inner and outer landscapes, that bind each beating heart to the pull of the tides.